When this woman was a teen, she was accused of murdering her husband, because he was abusive. Justice by hanging. Zeinab Sokian, a child bride in Iran is to be executed for killing her abusive husband. When she was 17, she was sentenced to death for allegedly murdering her abusive husband, in what some believe to be gross injustice. Now she is to be hanged for her alleged crime. She was just a child when she got married. Zeinab, who was only 15 when she got married, was sentenced to death for the 2012 murder of her husband, when she was just 17. In a strange twist, things changed for her in prison. 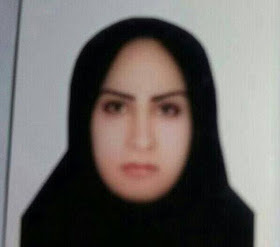 While in jail, she married another prisoner and fell pregnant, and as Iranian law prevents pregnant women from being executed, her death sentence was delayed. But it suddenly turned back to a nightmare. she gave birth to a stillborn child on Friday, September 30, 2016 in Euromieh central prison, meaning she could possibly be put to death within weeks. The decision of the authorities will be final.